Replica Inn offers a variety of accommodation classes which are tastefully furnished and beautifully decorated giving you a secure and comfortable place for business and leisure at a price you can afford. 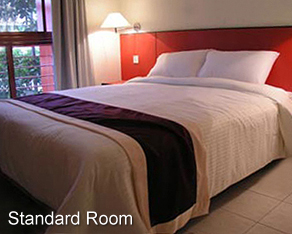 • 15 standard rooms, with 1 queensize bed. • 15 business class rooms, with 1 queensize bed. • 9 superior rooms, with 2 twin beds. 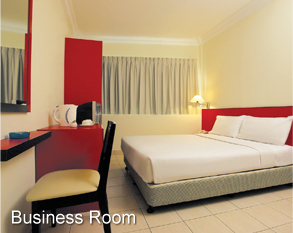 • 9 superior rooms, with 1 queensize bed. 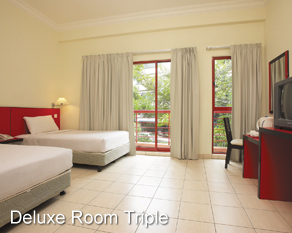 • 3 superior rooms, with 1 queensize bed and 1single bed. 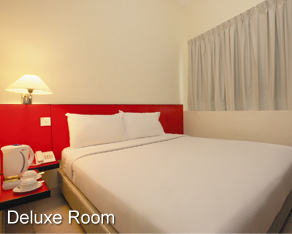 • 9 deluxe rooms, with 1 queensize bed and 1 single bed. • Attached bathroom with hot/cold shower. © Copyright 2013. Replica Inn Bukit Bintang Kuala Lumpur. All Rights Reserved.